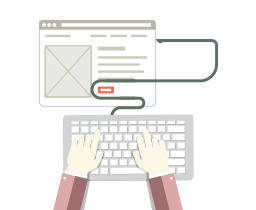 The team at Foresite offers a comprehensive list of services to meet your web programming needs. From (insert examples- Simple catalog site with shopping cart to setting up of payment gateway ready to accept online payment, from designing full-fledged e-commerce web site development to maintenance and backend services), Foresite can meet your expectations and more. It is of utmost importance to Foresite to meet their clients’ needs, and customizing the exact vision to translate it onto the web is what Foresite does. 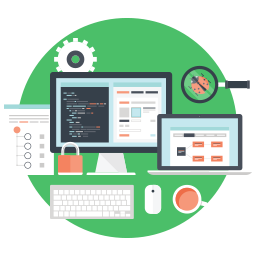 With the teams’ expertise is LAMP (Linux, Apache, MySQL, and PHP), your website will have an edge in both visibility and image. Custom web applications may be built on Drupal core, Where custom modules are built based on the special requirements of each project. Drupal has fantastic structure for managing content. Drupal CMS provides efficient ways of structuring and organizing content. A flexible theme layer allows the core of a Drupal site to be extended to huge projects that can be scalable to the growth of the project. Drupal in Jordan and the world is a very popular choice due to its success stories in projects ranging from tiny to full size content portals. To help ascertain the client’s positioning, Traffic Management systems enable companies to track information regarding sites rankings, the number of visitors, and relevant search phrases connected to your business’s website, while managing traffic with minimal bandwidth consumption.